Obituary – Khoury, Randal Ray « Perry High School Alumni Association, Inc.
Football 55-56; Wrestling 55-57; Assemblies 55-56, 57-58; F.F.A. 55-56. 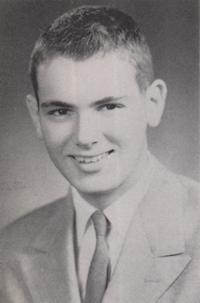 Randal Ray Khoury, 70, of Oklahoma City, Oklahoma, was the son of Joseph Kale and Katherine Lorraine Francis Khoury. He was born on April, 15, 1941 in Perry, Oklahoma and died Friday, April 13, 2012 at Integris Baptist Hospital in Oklahoma City, Oklahoma. He attended and graduated from Perry High School and then attended Central State University. Ray moved back to Perry and worked in the family furniture store until 1966 when he moved back to Oklahoma City and worked at Mathis Brothers Furniture for a short time. He then transitioned his career into the automotive industry and worked for various automobile companies over the next few years. He retired in 1985 and he then decided to be an entrepreneur by owning and operating several different businesses in different industries including restaurants, medical, vending, wholesale, automotive and several other ventures. Ray had a love for vintage electric trains. He was a gun collector and enjoyed collecting all types of guns. He was a history buff and enjoyed gardening, hunting and fishing. Ray was known as a handyman being able to work on simple tinkering items to sledge hammer demolition. 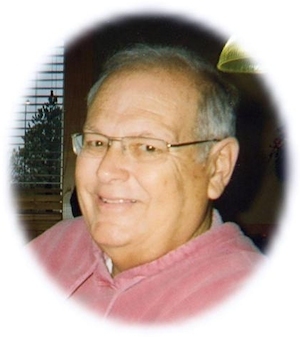 He enjoyed cooking but most of all he enjoyed spending time with his wife, children and grandchildren. Funeral services will be 2:00 p.m., Saturday, April 21, 2012 at the BrownDugger Funeral Home Chapel in Perry, Oklahoma. Rev. Richard Ingmire will officiate. Interment will be at Grace Hill Cemetery, Perry, Oklahoma. Services are under the direction of BrownDugger Funeral Home in Perry, Oklahoma. Memorials may be made to Perry High School Class of 1958 Alumni, Oklahoma City Public Schools Foundation, American Diabetes Association or any charity of choice in care of BrownDugger Funeral Home, 1010 N. 7th Street, Perry, Oklahoma 73077. Ray is survived by his wife Barbee, of the home two sons, Todd Khoury and his wife, Cindy of Jenks, Oklahoma, Kyle Ray Khoury of Frisco, Texas two stepsons, Eric Bruno and his wife, Lynn of Boulder, Colorado, Nick Bruno of Laguna Niguel, California one daughter, Sheila Ray French of Conway, Arkansas one stepdaughter, Kristin Liles and her husband, Chris of Oklahoma City, Oklahoma eight grandchildren. He was preceded in death by his parents, Joseph Kale and Katherine Lorraine Khoury.